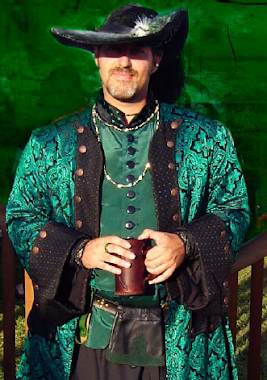 The Pennsic War: The Mayor's Musings: Water . . .
Ok, water was an issue this year. Both of these things are related. Cooper's lake has several water wells on the property which manage the water that flows to various areas of the campground and their own houses. Unfortunately this year one of those wells failed a quality test. As I understand it, the well cap cracked and some squirrels began dumping their trash (read used nuts) down the well. This all happened prior to Pennsic and the well was cleaned out and repaired. Unfortunately just before the event, the well failed again on organics so possibly not everything got cleaned out but in any case, that well couldn't be used. What had to be done? So the other wells had to make up for the loss of one source. That meant pressure was down, especially in certain areas (I got lots of email from E22!) when water got diverted to other areas to cover for the loss. A well that provides water to one of the Cooper's houses was diverted to help also but 10,000+ people use a LOT of water. Also, with the redirection some chlorinated water was getting diverted to locations where it doesn't normally go. Well at certain times of the day, certain blocks had no water pressure at all. We tried to plan that for times when most people wouldn't be taking showers (like after dark) but everyone has a different schedule and for some that was a problem. Also, at one point chlorinated water was being diverted to the waterbearer's tent on the battlefield. Now I'm not a chemistry expert but as it's been explained to me, when water with high iron content gets mixed with chlorinated water the iron precipitates out of solution and you get... orange water. So it would come out of the spigots crystal clear and 20 minutes later it looked awful. Our filters do a great job of clearing sediment out f the water but they don't work on Iron that magically appears 20 minutes later. Safe to drink, but after looking at it who would want to? So once we figured that out we had to redivert from some different sources. So for those of you that had no water pressure from late morning to early afternoon, it was going to the battlefield. Well now that the Cooper's know, they have plans to replace that well for next year. I expect next year we will have good pressure and good volume all over. My experience has been that when the Cooper's decide to fix something it gets done.